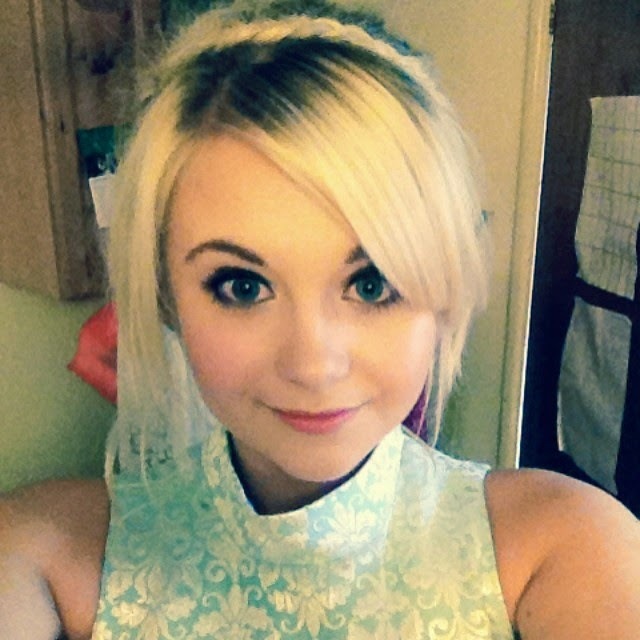 On Friday it was my University's Summer Ball, my last one ever *sob. * I'm still so in love with my dress so I thought I'd share some pictures with you, a little OOTD of sorts. I thought this would also be a good little ease back into blogging, I've been gone for a long ol while. 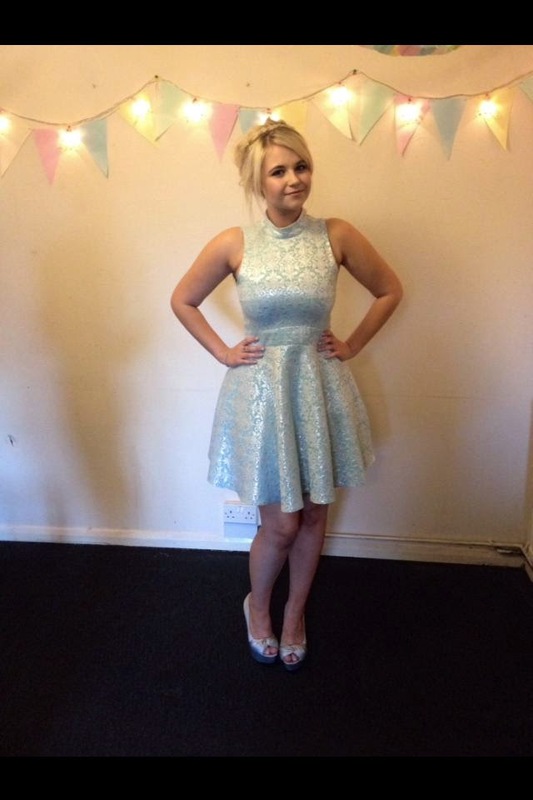 My dress was from Miss Selfridge, and I actually got it as a birthday present back in December, its a gorgeous baby blue/mint and silver colour, with a jacquard pattern. 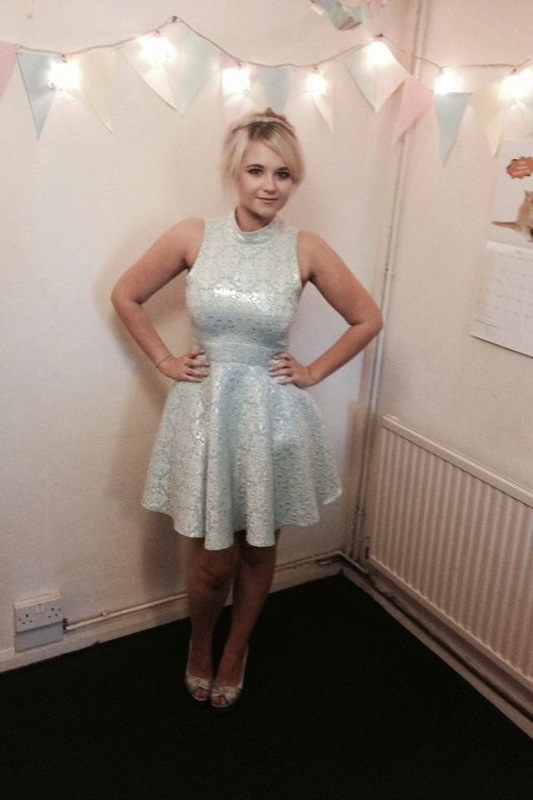 The dress has a high neck, a cut out at the back and is in a skater skirt style. I know the picture quality isn't that great, but thats phones for you! What's your go to party dress? Oh wow, you look wonderful in your party dress - hope you had a good time! You look gorgeous! I wore a similarly shaped dress for my grad night, but it was in white. Congrats on graduating!